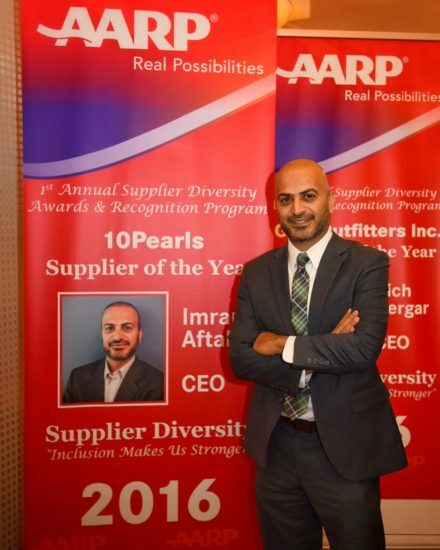 “[10Pearls’] work culture and professional ethics represents some of the best in the industry,” said Sanjay Khurana, Vice President of Caregiving Products & Services at AARP. “We appreciate how collaborative and accommodating you have been while working at a very fast pace, and pivoting when necessary. Read the full press release at AARP. Founded in 2004, 10Pearls drives rapid execution through innovative, enterprise-grade digital solutions. As an award-winning software application development company, we serve as a trusted partner, helping businesses scale. This includes enabling businesses to transform themselves through new product development, modernization of their existing enterprise systems, and helping them achieve speed-to-market by augmenting their current technology teams cost efficiently. 10Pearls is proud to have a diverse clientele including large enterprises, small & medium sized businesses, as well as high growth start-ups. Our many long-term, successful partnerships are built upon trust, integrity, and successful delivery and execution. To learn more, visit www.10pearls.com.